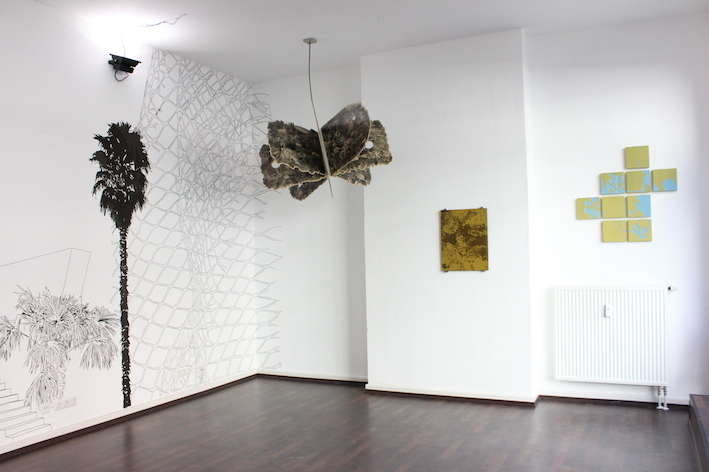 Exotic plants sprawl in exuberant growth across walls, prints and sculptures. They intermingle with skyscrapers and elements of street scenery and form utopic cityscapes. Dimensions become fluid, what is big seems small and vice versa entangling the visitor who sets out into the jungle like a 19th century explorer. But the apparent wilderness is tamed. Its sources are photographs taken in cities, greenhouses and parks, cutouts from newspapers, domesticated nature and artificial constructions. Simon Halfmeyer extracts, abstracts, draws and scans, arranges and modifies using the computer and turns his sources into fiction. 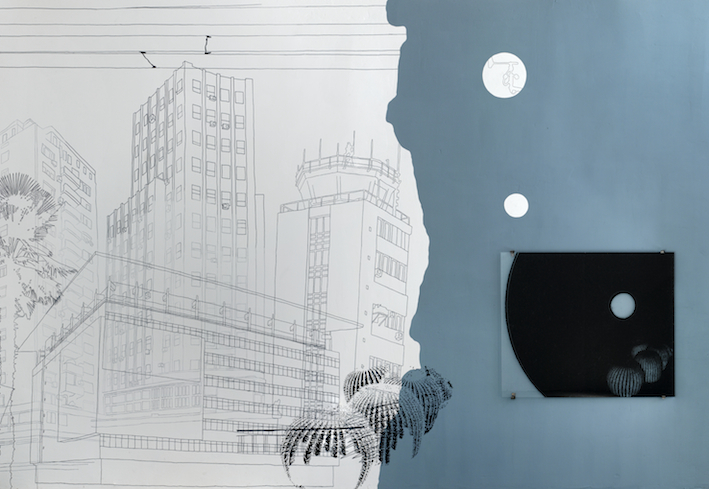 Wall drawings incorporate paintings and prints, prolonging and using their structures. Not confined to the wall they become sculpture and thereby set out into the third dimension. Themes and images recur, the artists own works return as models and part of the pattern, and what was part of a print may be discovered as sculpture a few meters further on. Exuberant like the jungle, Halfmeyer’s drawings transcend the limits of their medium, interacting with space and taking the visitor along into the unknown. A temporary wall drawing manufactured by Simon Halfmeyer can be visited at gallery postel during the time of the exhibition.